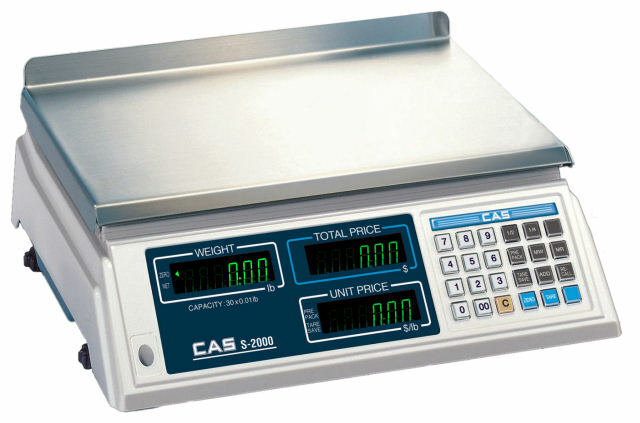 Low profile price computing scale. 30/60 lb dual-range capacity. 999 PLUs. Bright, easy to read VFD front/rear displays. Fish platter and wet cover options available.